Break the emotional/stress dependence today. European researchers discovered that nicotine dependence (the desire to smoke) is caused by the electromagnetic charge of nicotine in the body. Bioresonance Therapy cancels out this electromagnetic charge, leaving your system free of the cause of the urge to smoke. 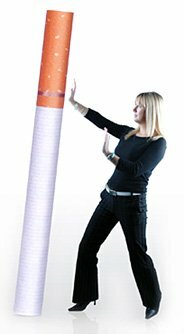 The body then eliminates the nicotine after treatment and as a result there are no physical cravings to smoke. Two days prior to treatment – no alcohol and coffee. Please bring one cigarette with you to the consultation. Here are some overseas results from using Bioresonance Therapy.